Case Western Reserve University Department of Music is thrilled to share its Spring Concert Schedule, set to bring a groundbreaking masterpiece of the French Baroque and more to University Circle! The outstanding schedule begins February 14, 7:30 p.m. (Harkness Chapel) with the Jazz Ensembles I & II | Valentine’s Day Concert, featuring guest artist Jiggs Whigham, trombone (soloist with the Cleveland Jazz Orchestra, Feb. 15), and continues with the Silver Hall Concert Series | Choral Showcase Invitational Concert on February 22, 7:30 p.m. (Maltz Performing Arts Center), featuring the Case Concert Choir, University Chorale, Case Men’s Glee Club, and Kirtland High School Honors Choir. Baroque opera Hippolyte et Aricie (1733) by Jean-Philippe Rameau brings a celebratory note to the semester. Produced in collaboration by the Historical Performance Practice Program of Case Western Reserve University and the Opera Theater of the Cleveland Institute of Music, this performance is presented in celebration of the 50th anniversary of the Joint Music Program between CWRU and CIM. Ellen Hargis, one of America’s premier early music singers, directs the opera. Hargis also holds the position of Kulas Visiting Artist and coordinator of HPP vocal studies at CWRU. Audiences will be treated to a historic 18th-century arts experience thanks to the addition of baroque dance choreographed by noted baroque violinist Julie Andrijeski who also prepares the baroque orchestra. Andrijeski is CWRU Senior Instructor and artistic coordinator of HPP ensembles. Performances take place at Kulas Hall, February 27 through March 2. Click here for details. 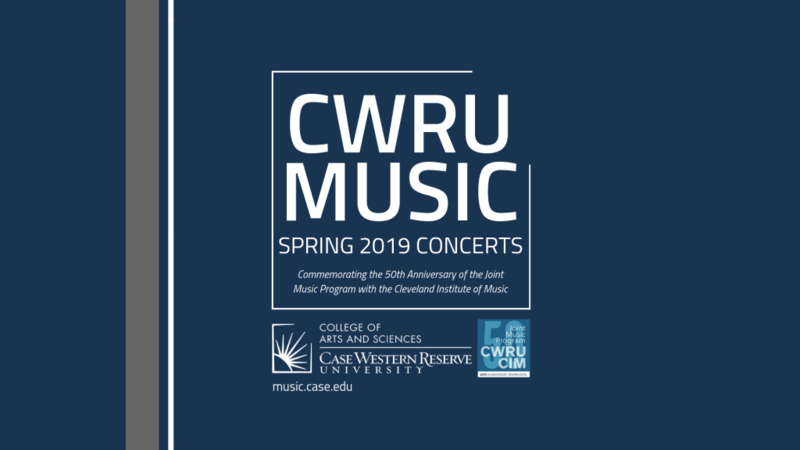 March and April feature more than a dozen performances spanning multiple genres with varied student recitals and performances by CWRU choirs, bands, orchestras, and mixed ensembles. Events are open to the public at no cost (unless noted). Guests need to register in advance to attend the Maltz Performance Arts Center, Silver Hall Concert Series. For a full list of Upcoming Events, visit http://music.case.edu/upcoming-events/.